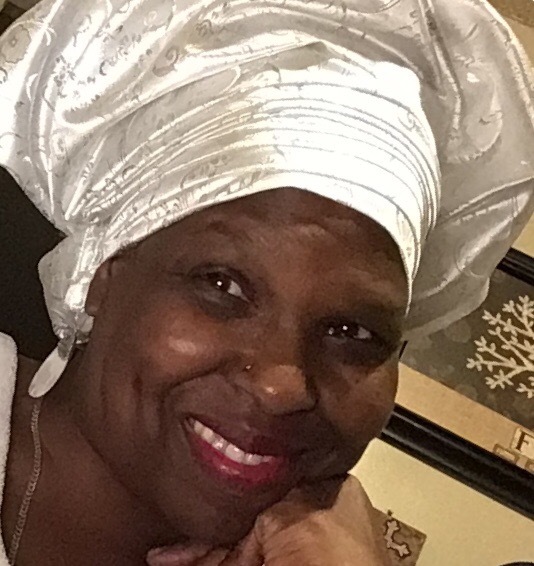 My name is Yolanda “Promise” Bolden, and God has directed my path to Chaplaincy studies at CLI. I reside in Los Angeles California as well as Virginia Beach. As a teen, I dropped out of high school, experimented with drugs, and walked away from the church. I had a rich familial church history. My grandfather helped to found a church, and my grandmother was a traveling missionary. My fraternal grandmother was a church mother who mentored young mothers and helped to foster their children’s care. My father was and is an active Deacon Minister, and my mother was a church pianist and choir director. I attended Sunday school, Vacation Bible School, sang in the choir, and sang trio with my sister and brother while my mother played the piano. My dear father sang beside us. Camp meetings and revivals were never missed. So it was, that I believed this familial history gave me a sure footing with God. That is until I strayed too far into the world and almost died experiencing a fast life. I prayed for forgiveness and asked God into my life personally. I felt his presence, grace and mercy in my surrender. God led me to study a general education book on my own to seek entrance into a nursing program and I passed. What a mighty God! How could this happen without formal high school training? Only God could do this. It increasesd my faith. However, in nursing, it was forbidden to pray or speak of God with the patients. After over 30 years of nursing, I found myself in critical condition with hours to live when God miraculously healed me. Oh, how I prayed any nurse would pray with me or read scripture when my family was not there. One night, a still small voice said to me, “You will be a nurse pastor.” I thought it was just crazy thinking. Not me, I thought! I’d never heard of a nurse pastor anyway. I sought information regarding this title and found there were indeed pastoral nurses. I was floored. Bible college was too expensive and I was now retired. Due to an injury, I was forbidden to work as a nurse any longer. I tried to put it all out of my mind. Perhaps it was a thought brought on by medication, I mused. Months later, I came across Christian Leaders Institute while looking for something else entirely. I could not believe my eyes. Just then, I remembered that thought in the still of the night. I enrolled. I began to learn biblical content in a formal fashion. As time passed, and with much prayer and council, my calling became even clearer as God directed me to Chaplaincy studies. I am called to be a Hospital Chaplain. I am so excited and humbled to know that God “did” call to me that night long ago. He also made a way for my calling to be fulfilled through the Chaplaincy studies at CLI. Oh, bless the Lord! Presently, I am a volunteer Ambassador in a hospital emergency room. My job is to serve coffee and such, and/or pray and lays hands on both patients and families freely. Because of my extensive nursing background as well as my personal experience as a critical patient, I am able to empathize with both patients and families. I now realize that passing the nurse exam without a high school diploma was part one of my training to trust in God. The many years of nursing was level two. Even the critical illness had its part. Now, being ordained as a Deacon Minister is yet another level of training that has formally solidified my position in the ER Ambassador program. I am a called servant of God who truly understands all sides of hospital culture. A Chaplain, who was a former seminarian teacher, heard of my studies at Christian Leaders Institute. By his questions and informal discussions, he began to consider me a serious candidate for Chaplaincy. He is encouraging me to finish my studies. He assured me I will be welcomed as an Associate Hospital Chaplain the moment I receive my Associate Degree in Chaplaincy studies. I am so humbled. God has been guiding me all along. My training at CLI has grounded me in biblical truth. I am able to communicate the love of God with scripture, encouragement, and surrender to his will. I have learned to stay within my scope of practice, an assistant, a servant. I have become a better listener who is able to embrace all people, regardless of church affiliation. I have learned when to be silent in prayer and when to speak boldly while relating with assurance God’s grace and mercy for suffering people. Most of all, I have learned to let myself fade so God can use me. It is His message, His way, in His timing. a glimpse of the Father’s love in their time of need. God bless you!